Alicia Smith is a Xicana artist and activist. She received her BFA in Fine arts with an emphasis in Contemporary Sculpture and Printmaking from the University of Oklahoma and her MFA at the School of Visual Arts. Her work uses the abject and sublime to investigate certain ideas. She is interested in the tension between greed and reverence and its impact on the environment, as well as our relationship to the female body. 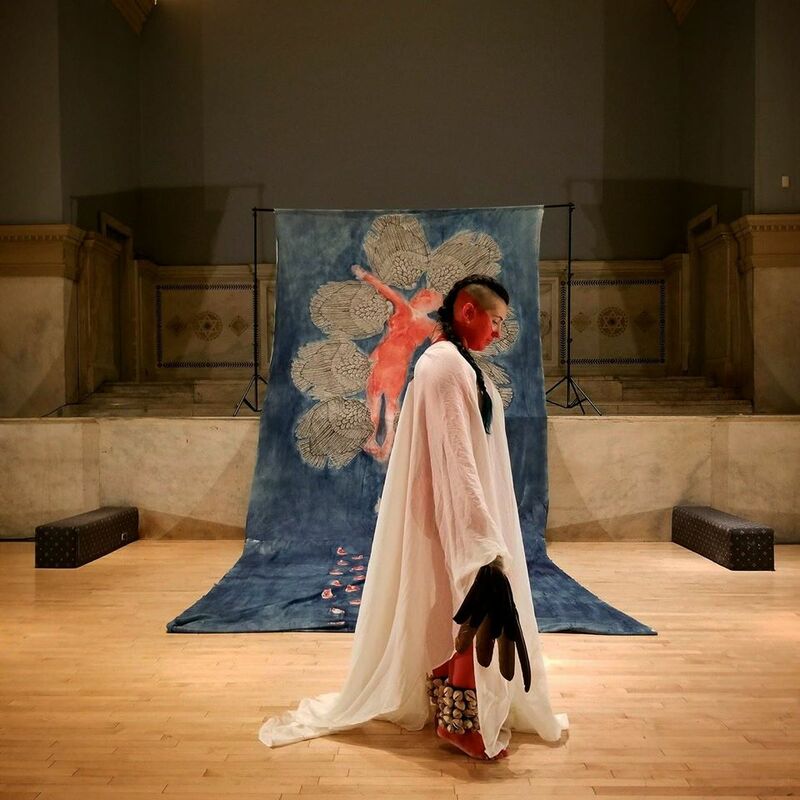 Through these processes she dissolves romanticized tropes that deny indigenous women their complexity, while at the same time demonstrating their beauty and strength. Being of mixed race heritage her relationship to the land and her body is complicated and something she unpacks through her work with the guidance of her ancestors.